How to be happy when you are lonely? You should feel the freedom! (Laughter from the audience) Look at the birds, how they fly. What is lonely? When there is nobody to bug you, nobody to ask you where did you go? What did you do? Whom did you look at? No control, no obligation, nothing! It is like being a free bird, just jump around like a bird. You want to put some music on and dance, do it! What do you mean by lonely? Just having a partner does not take away your loneliness,mind you! There are millions of people who have partners, soul mates, who have fallen in love and married the same person, and yet they feel lonely! Many may not come out and tell you honestly, but if you ask the ideal couples, "Tell me one secret, do you ever feel lonely or anything like that?" They will say, "Yes!" The only people who don’t feel lonely are the ones who are connected with the being, with the self. One who is established in the self feels no loneliness. Only spiritual elevation can take away the loneliness, not soul mates. 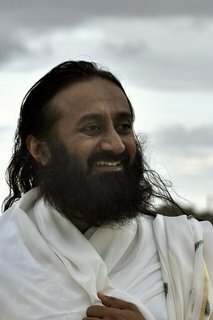 Dear Gurudev, could you please tell us the significance of the Canadian Ashram, why did you choose this place? Are there any historic links? When I spoke on the Ashtavakara Gita in India in 1990, sometime after that I told our people that I’ll come to Canada only when we have a place of our own. I gave it to them as a challenge, because until then we had been hiring venues here and there. Everyone thought we should have a place of our own, and so our devotees went searching and Ganesh and Janice found this place. When we visited it, we found the place to be appropriate, and it is also close to Trois Rivières. In India, a place is considered to be very sacred when three rivers meet. In fact, interestingly, the ashram in Poland is also very close to a place where three rivers meet. We somehow get such places, and that is considered to be very good. The meeting of three rivers is actually symbolic of the three energy channels (nadis ) i.e., ida, pingla, sushumna; meditation happens when they meet. And so, at a place where three rivers meet also, meditation is very good. In this campus, we now have six lakes and three mountains. The gentleman who was building this place also didn’t know why he was creating such a campus; he even expressed to Janice saying, "I don’t know why I’m doing this!" They are a very nice couple who sold this campus to us. 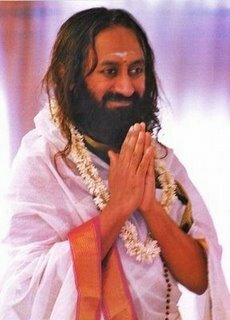 Dear Gurudev, what is the significance of different shlokas that you sing after meditation? It feels good, isn’t it that is the purpose. Infusing a little energy, and those seeds of wisdom uplift the consciousness because your consciousness knows this at a deeper level. Somewhere in our depth, we understand these chants, and in some unknown manner, it energizes, uplifts and soothes the spirit; doesn’t it feel that way? How many of you feel it, the moment you hear some chanting, you feel something soothing, isn’t it? 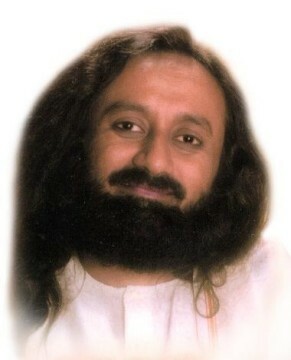 Dear Gurudev, is this real or is the worldly family that awaits me real? And when that real appears to be very difficult, remember you had another level of reality in which you lived, and experienced. That very remembrance will give you the strength to carry on. Then, when you are totally drained, you can always come back here to recharge. When will people around us recognize the significance of the subtle, unseen, yet powerful energy? I think the world is waking up slowly; they have woken up quite some bit from where they were before. A few decades back, it was so hard to talk to people about the unseen, ethereal reality. But today, it seems much easier. People seem to get it. Anyways, there were always some groups of people who believed in something higher, something ethereal, and something unseen. One of our ashramite boy’s father is a big industrialist. When he came and stayed at the ashram, he told his son, "You are so young, 24 only; this is the time for you to have a passion, an ambition, grow up to have a better life. What are you doing sitting in an ashram like a retired person?" Do you know what that boy replied to his father? He said, "Dad, people are ambitious about something that is seen, visible, tangible; they want more money, a car, a plane, a little more in their life. Is there anyone who is ambitious about something that nobody has seen? Something unseen, higher, much bigger, where nobody has ventured? I am here because I want that something which nobody has seen, that something which is higher, bigger! Now tell me, who is more ambitious?" The boy’s father had to keep quiet. These days people are much more open to the realm of the unseen, from where everything happens, from where energies uplift the planet, that which is the cause of all causes. Sometimes the path appears to be a little difficult, but ultimately it is the most comforting, fulfilling, soothing and satisfying. That which is very pleasant and comfortable in the beginning, and ends up as misery in the end (is not good), and that which is difficult in the beginning but ends up as being very sweet and pleasant in the end, is called tapas. Tapas means enduring, bearing the opposites, enduring through the toughness, so you come out successful, and that is long lasting! One very big industrialist in India, who owned planes also, would come to Bangalore and speak to our ashramites, especially Vinodji. He would say, "I envy you, I'm so jealous of you people". At that time, I think our people did not understand much because he had everything, they wondered how he was saying that I am so jealous of people in the ashram. Today, it is very obvious because he has lost everything. These things - position, fame, money, they all come and go, they don’t give you the stabilityand happiness in your life, which they appear to give at some point. In the early days of this ashram, we had just one little cabin called Ganga Kutir or Sumeru Kutir? Andrew and a few others built that for me. It had just a little portable toilet, and a meditation hall. In those days, Andrew and some others worked day and night to build the Issa block, which was the first building in the ashram, and then slowly everything came up. Again, similar to the condition of the Indian ashram in the early days, we didn’t have proper amenities; we hardly had electricity. People had to carry water in buckets. Today, you have all the comforts, but there is a different joy when you are coming with such enthusiasm to do something in a place where there is nothing. To build it from scratch had its own charm. Bit by bit, and piece by piece, like a puzzle coming together, our movement has been built all over the world. Even I was surprised when Beatrice took me to Tierra Del Fuego (Southern tip of South America), a thousand people were chanting Om Namah Shivayaand meditating there; it was the same when I went to Tromso, far North in Norway, where the sun just comes on the surface and goes away. I was surprised when we had people waiting there for us at the airport. I thought nobody knew us but I was surprised to find people there doing the Sudarshan Kriya weekly. Marcy took me on a flight to Iqaluit (Canada). Do you know the story of Iqaluit? We were seven of us who got on a small plane to see the North Pole. Towards the end of the trip, there was a snow storm and our plane could not take off. This place has very strong wind; it seems when the wind comes, it even blows the steps of a house away. So the roofs of the houses are tied with thick steel ropes, like the ones used on suspended bridges, all the way down to the ground, to the steps. Suppose your house is at a height and you have about six to eight steps going to the house; if you don’t have the steps tied down with thick ropes, then your steps will be carried away and you would have to jump down from the house, there is so much wind. When we went there, the airport authorities said the plane can’t take you back. We had gone for a day trip, so we had not even carried any clothes with us. Somehow, we stayed there, and the next day I insisted that we should leave now. When we left, halfway through the flight, we found out that the airport where we were supposed to land was closed. There were thick clouds, zero visibility and no fuel in the plane to go anywhere. The pilot said that we can’t land, and we can’t go anywhere because we have no fuel! And we can’t even see anything! Everybody said, "Well, this is the end!" But there was no fear! Just imagine the situation, the pilot was so nervous, he didn’t know what to do! He could not go back, he had no fuel, and there was no way to land since it was all so thick. Marcy and Shirley and the others on the plane said, "Oh what do we do!" I said let us just chant Om Namah Shivaya anyway, if we are supposed to come down with the body, then so be it, and if not, only the body will go down, we will go up anyway! We all chanted Om Namah Shivaya; we were singing, and suddenly the pilot said, "Hey! Wait! I’ve found a hole in the thick clouds, I will take this risk". He jumped down through the thick clouds and landed when the airport was closed. The highway was full of thick snow since there was a snowstorm; there was no electricity when the plane landed. The airport authorities came running as we landed saying, "You’re not supposed to land now, why did you land, you can’t land!" The pilot said, "What do I do? I had no fuel, I can’t go anywhere!" And that is how we came back! When we came back there was no water, there is ice everywhere but no water. We did something, I don’t remember now. But see the beauty here; nobody was worried, nobody was complaining! Tell me, could there be any situation with more anxiety? People who are in comfortable spaces say, "I have anxiety, neurosis!" You should have had anxiety being in that situation! I think we should put people who complain about anxiety in a plane, and say there is no fuel now! All the fear will disappear. What are we so anxious about? An interview or something? We were seven or eight of us in that plane and none of us were anxious, not a bit. I think I can speak up for everybody. They were all smiling, cracking jokes, up in the air, over 20,000 feet above! How many of you didn’t know about this story? When was this? 2003! The story is in Marcy’s book! We had many such adventures, and that was really something adventurous. The person who was really anxious and excited was our pilot when he saw the hole through the thick clouds!